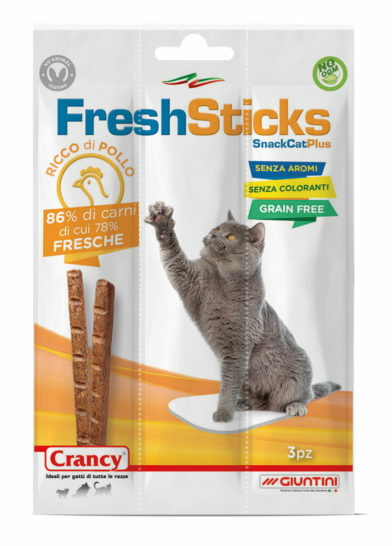 CRANCY FRESH STICK is a tasty and nutritious snack. 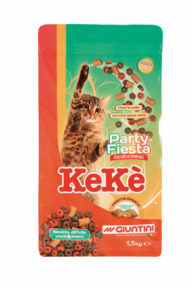 Made with fresh meats and rich in proteins it is perfect reward for your cat. 3 flavours available: chicken, salmon and veal. Crancy Fresh Stick can be given at any time during the day. Remember to always leave a bowl of fresh, clean water available for your cat. Junior: 3 sticks, Adult: 5 sticks; Senior: 4 sticks. Meats and animal derivatives (min. 86%: 78% fresh meats, of which min. 15% chicken), Minerals, Oils and fats, Derivatives of vegetable origin (crude fibre concentrate from natural lignocellulose). Moisture: 26,0%; Crude protein: 37,0%; Crude fat: 20,0%; Crude fibres: 4,0%; Crude ash: 13,8%. 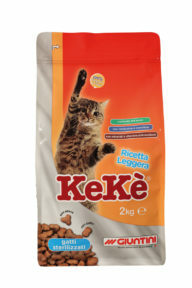 Kekè Light Recipe has been formulated specifically for sterilised cats of all breeds that are prone to weight gain.